Home / Tools & Publications / 27 National Energy Action Plans = 1 European Energy Policy? 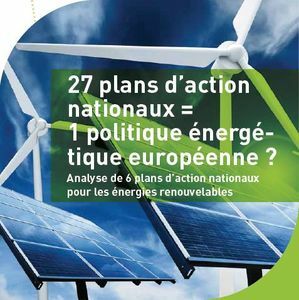 27 National Energy Action Plans = 1 European Energy Policy? This GEF publication examines six National Renewable Energy Action Plans submitted to the European Commission in 2010. These action plans contain detailed information on how these six states expect to meet their EU renewable energy targets, and hence provide great insight into the expected development of the European energy industry over the coming decade and beyond. The EU Renewables Directive, for the first time, set a legally binding renewable energy target for the EU: a 20% share of renewables in final energy consumption by 2020. Each Member State was apportioned an individual 2020 target by the Commission for renewable energy as a proportion of final energy consumption. They were also directed to produce a National Renewable Energy Action Plan (NREAP) offering detailed information on their concrete polices for reaching these targets. Given that investment made today in the energy sector will have huge implications for the coming decades, if we are to make the fundamental changes required to tackle climate change, the policy decisions we make over the next 10 years will be key. 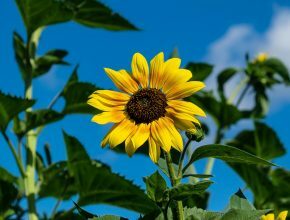 In addition to this, many experts are of the opinion that in order for the EU to make the transition to a low carbon economy, it will have to make far greater use of the potential benefits from European cooperation. 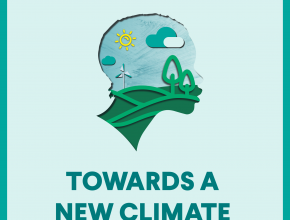 This publication therefore undertakes a rigorous analysis the NREAPs with two key questions in mind: do the Member States take into consideration the long term goal of 100% electricity from renewables, and do they expect to make use of European cooperation methods? The analysis demonstrates the great variety that exists between Member States on renewable energy policy, both in terms of ambition, method, and the likelihood of achieving the legally binding targets. 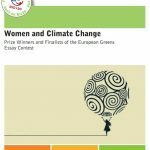 The publication is part of GEF’s continuous efforts to promote the creation of a European Community for Renewable Energy that would foster further and greater development of alternative energy sources in Europe and beyond.